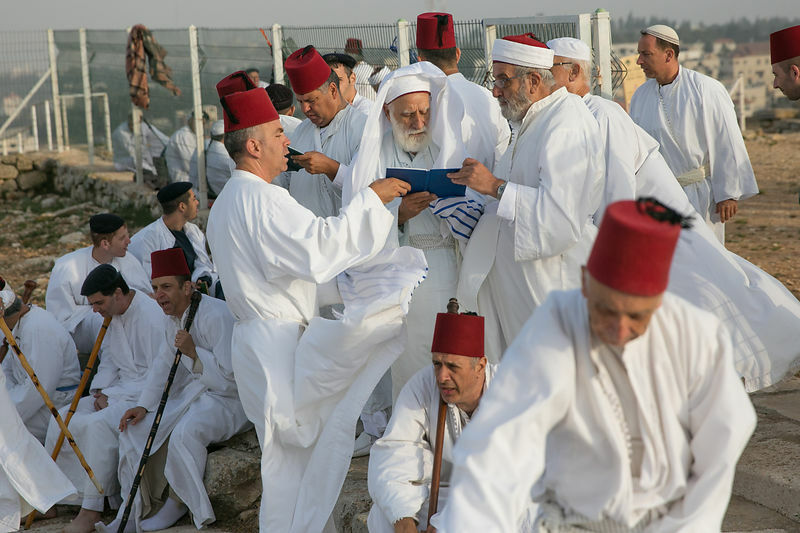 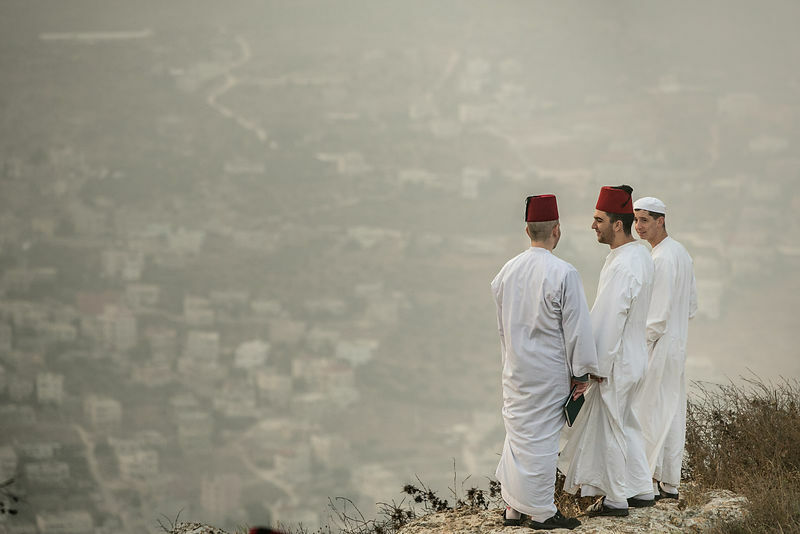 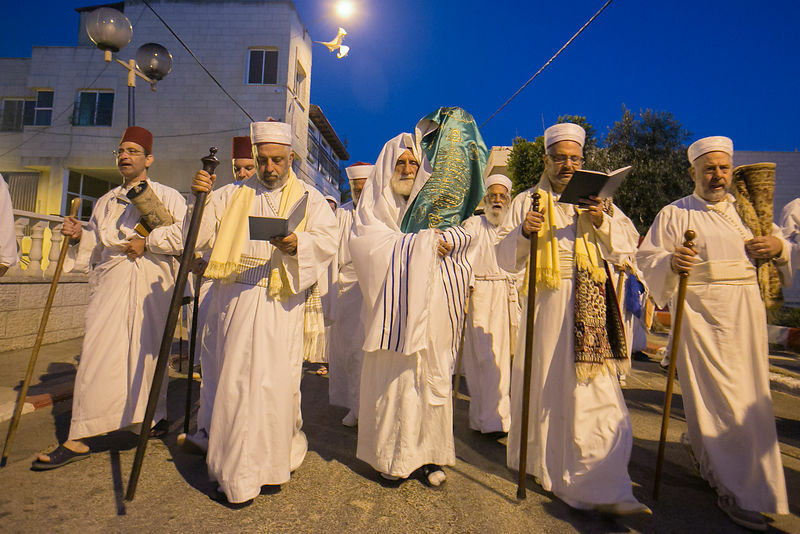 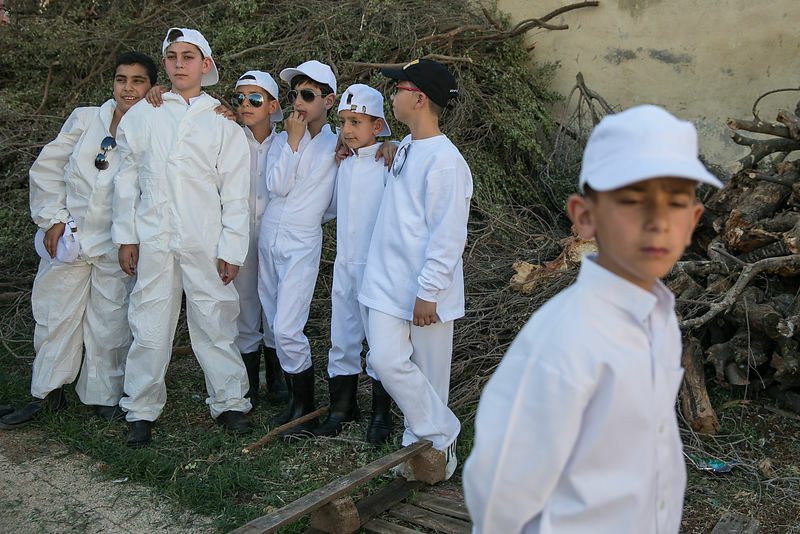 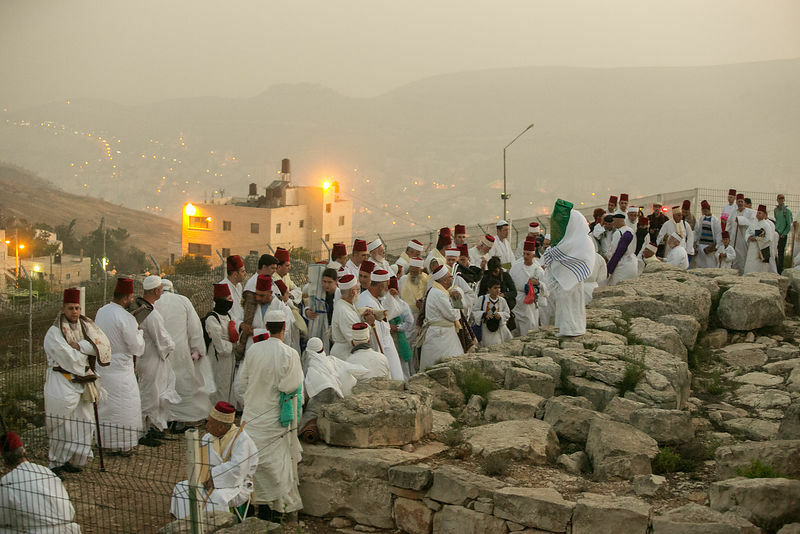 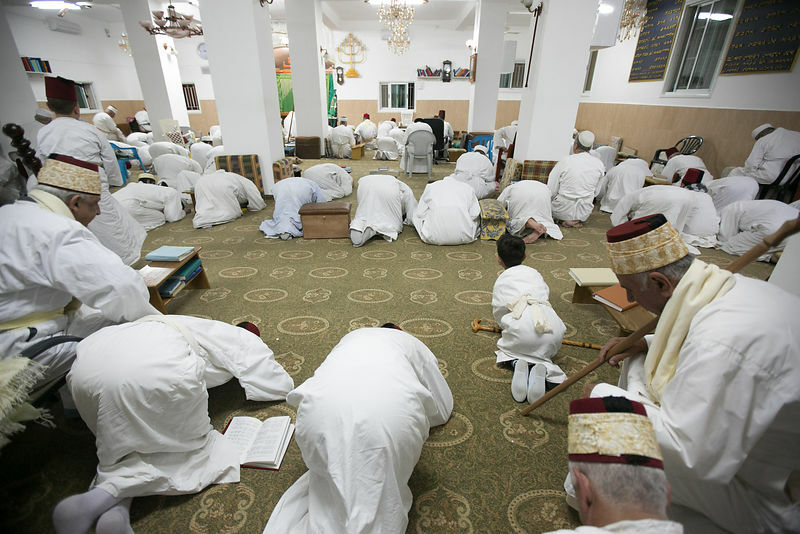 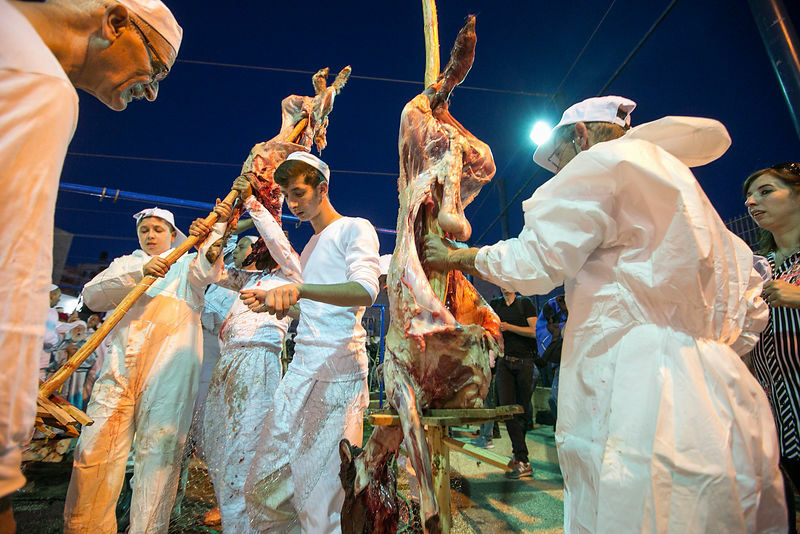 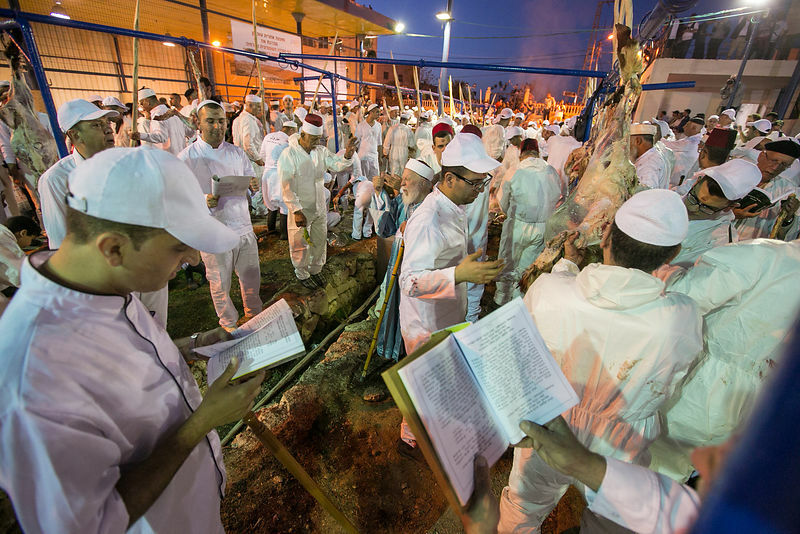 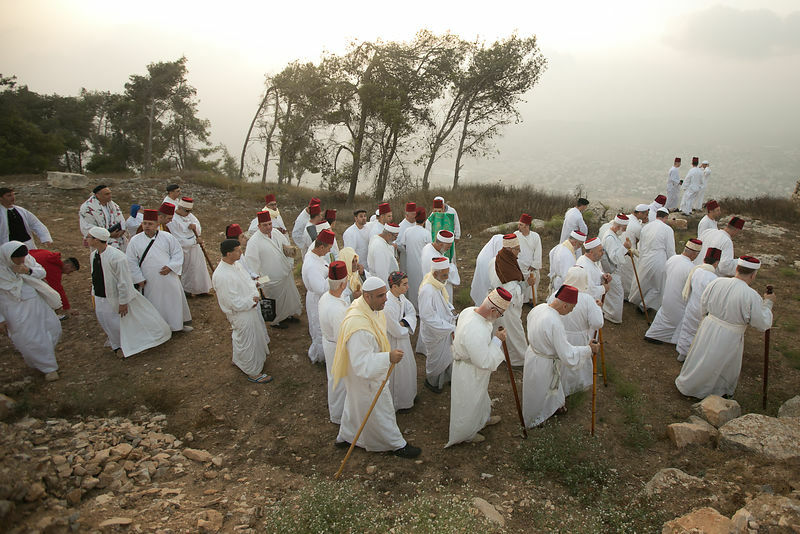 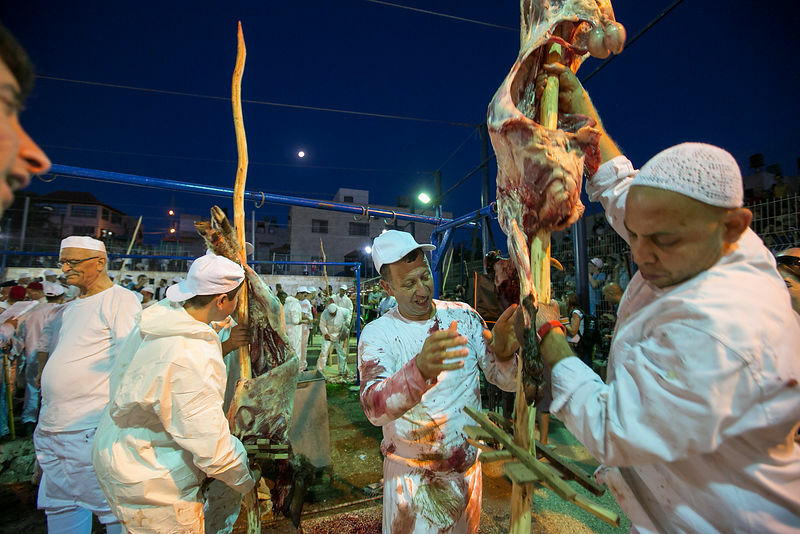 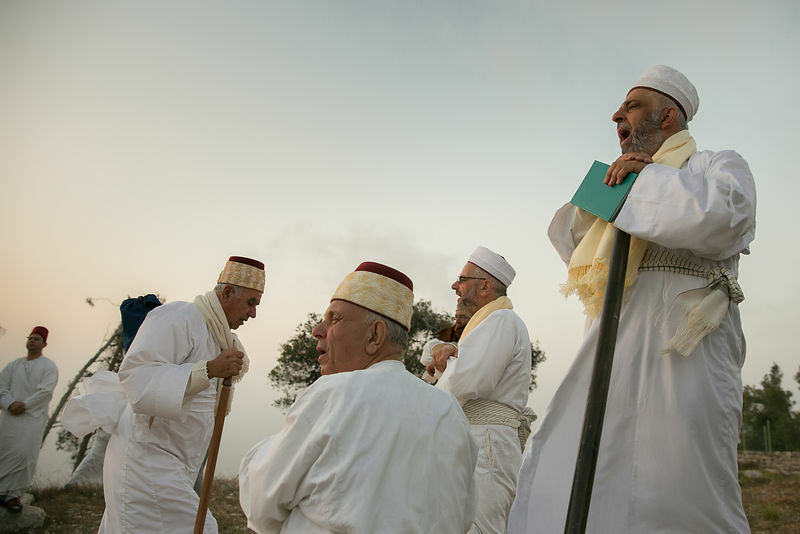 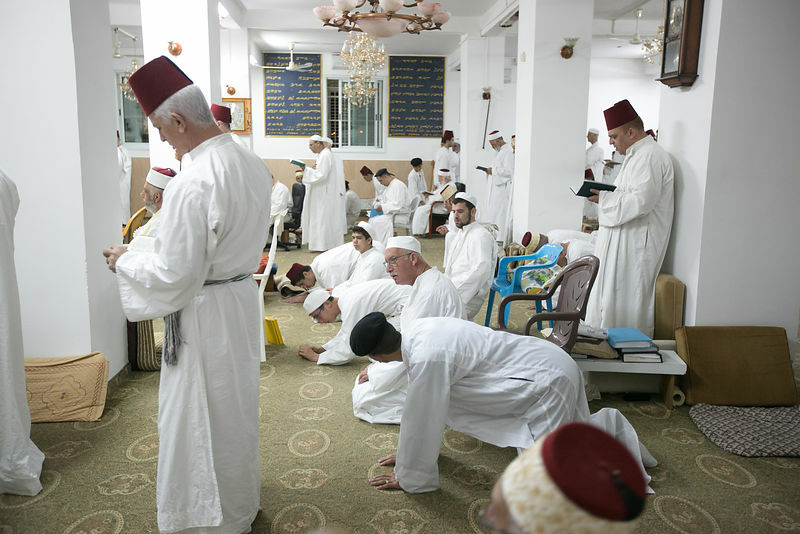 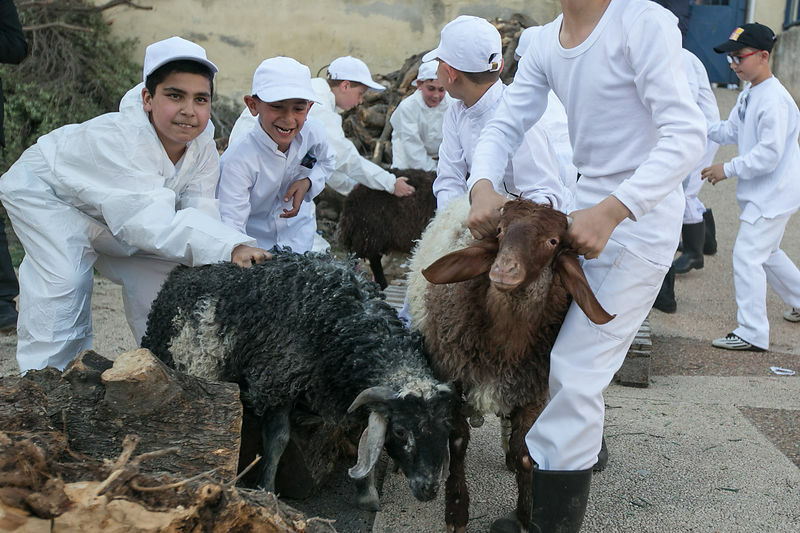 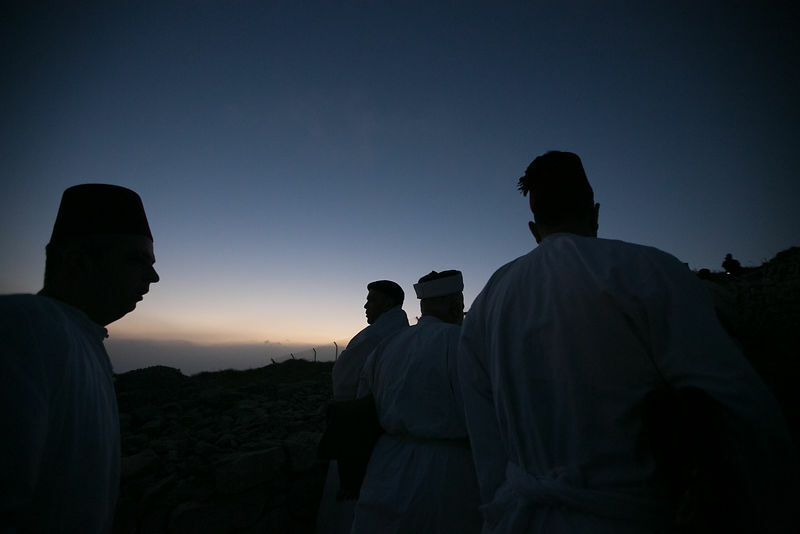 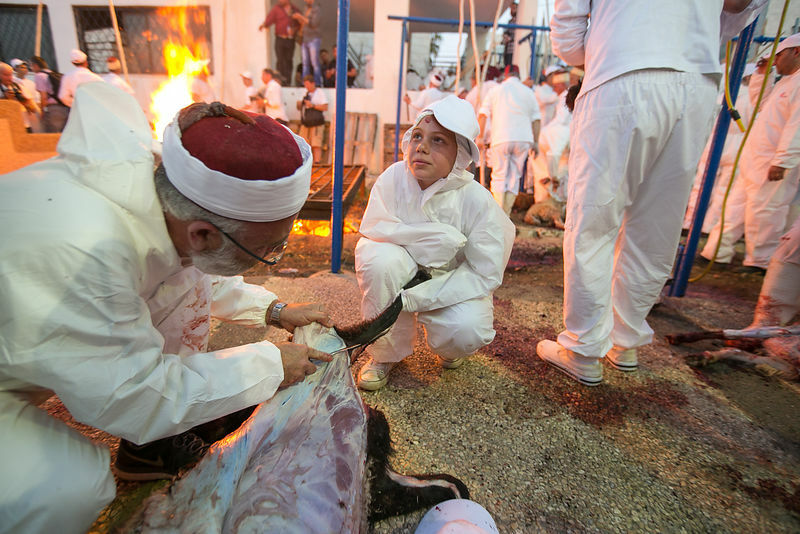 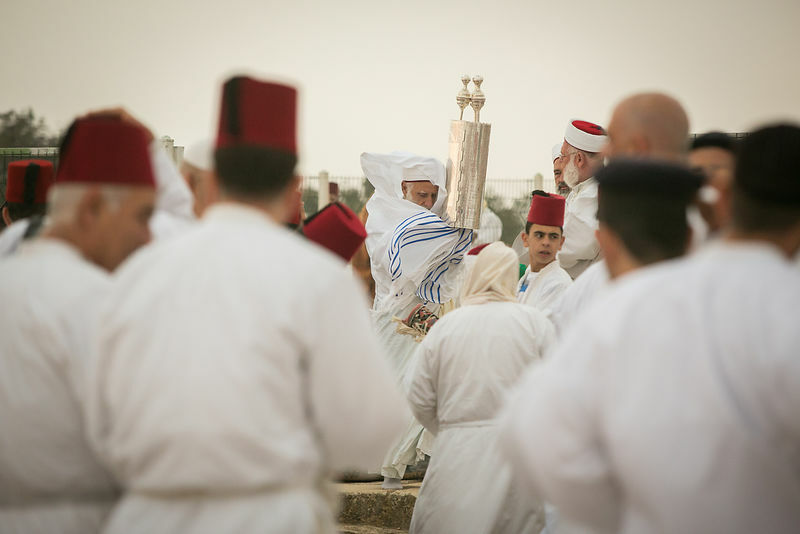 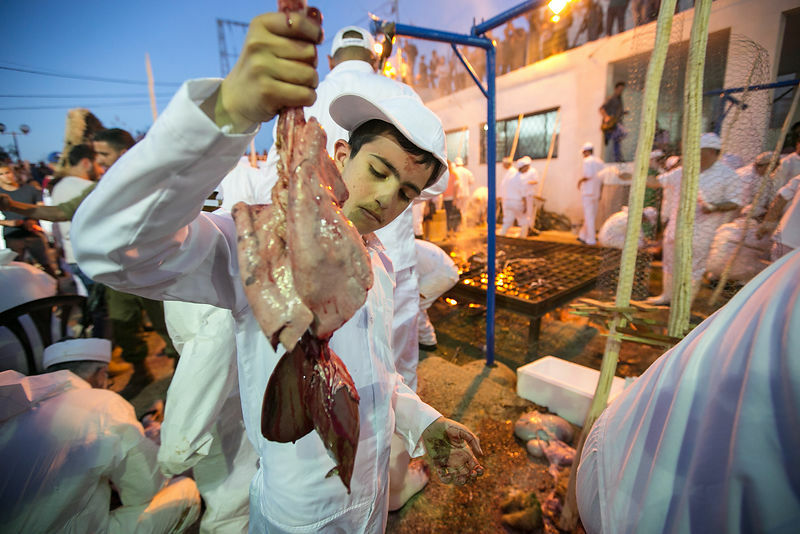 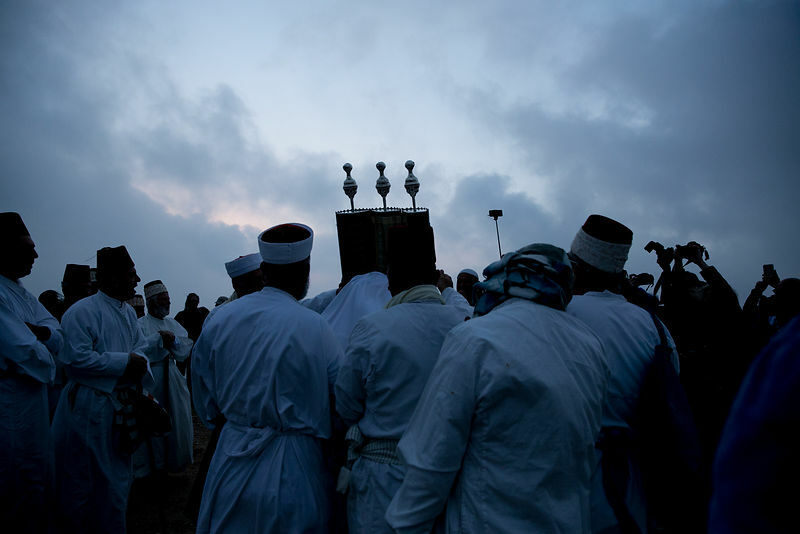 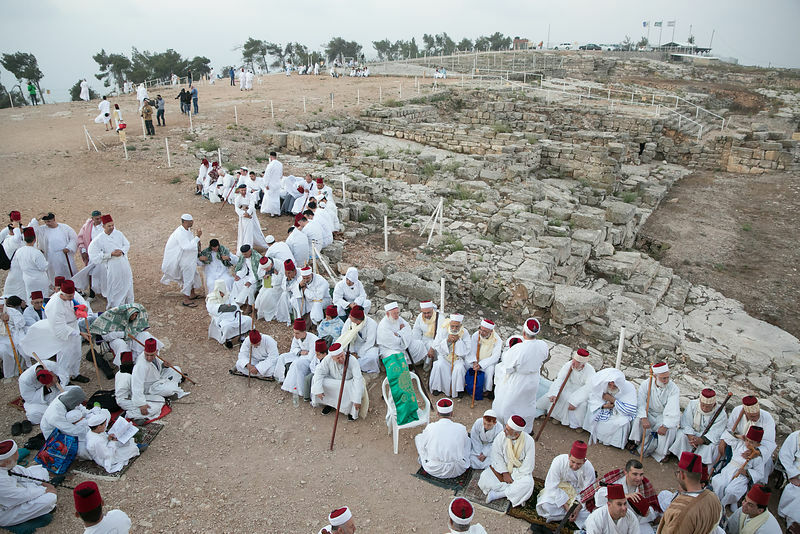 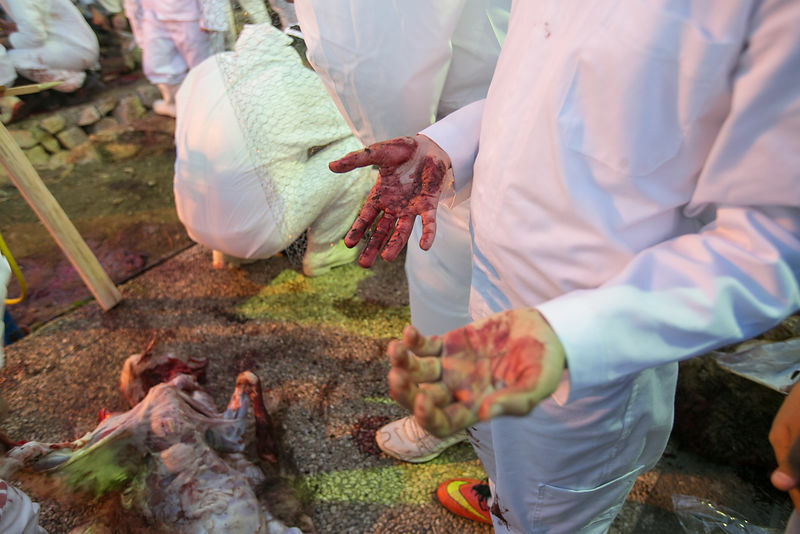 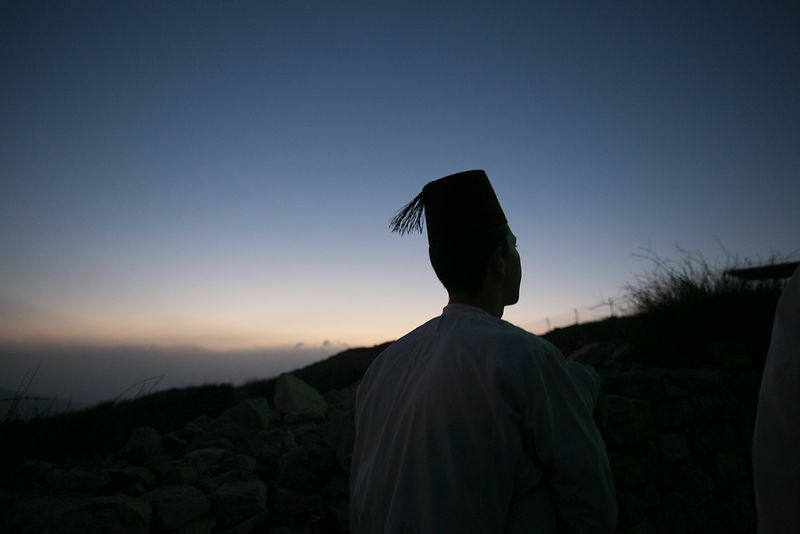 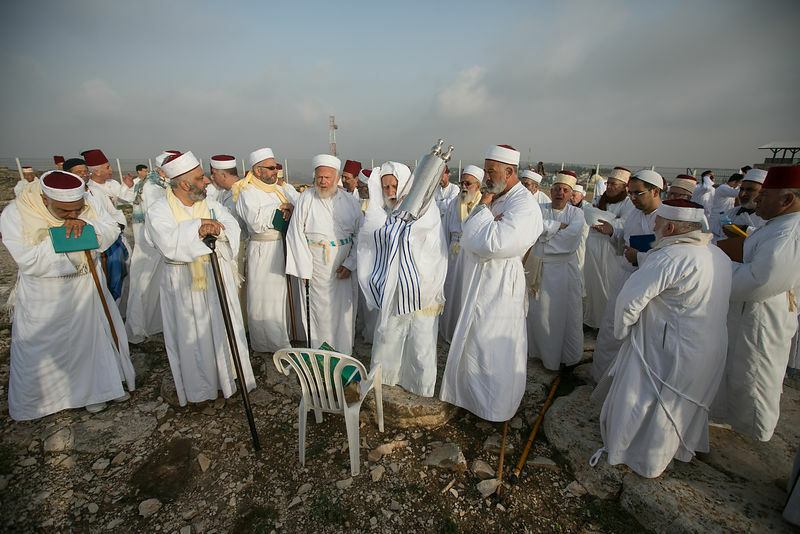 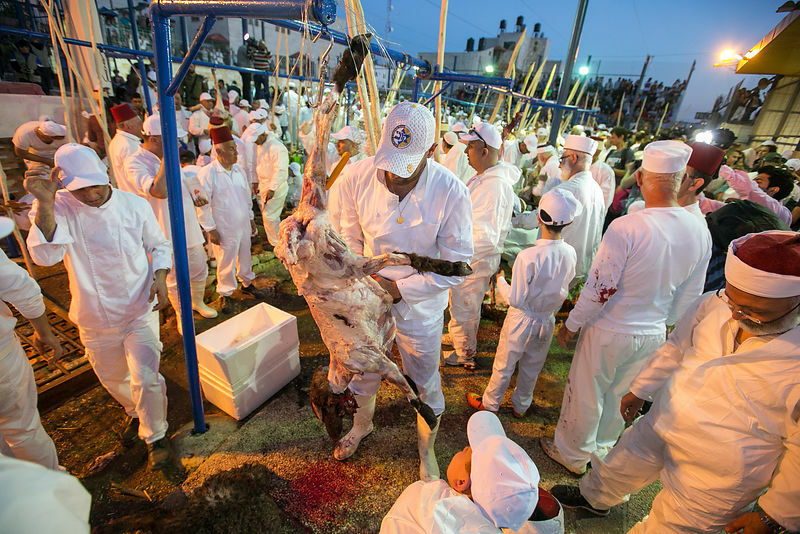 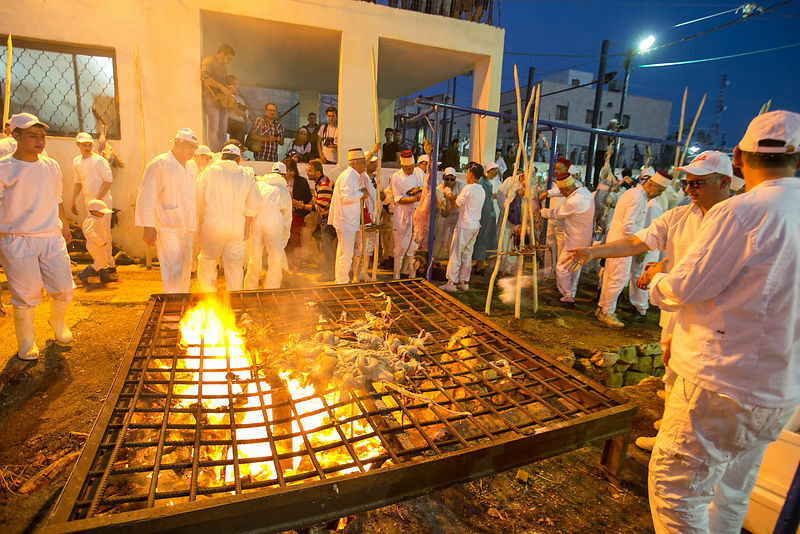 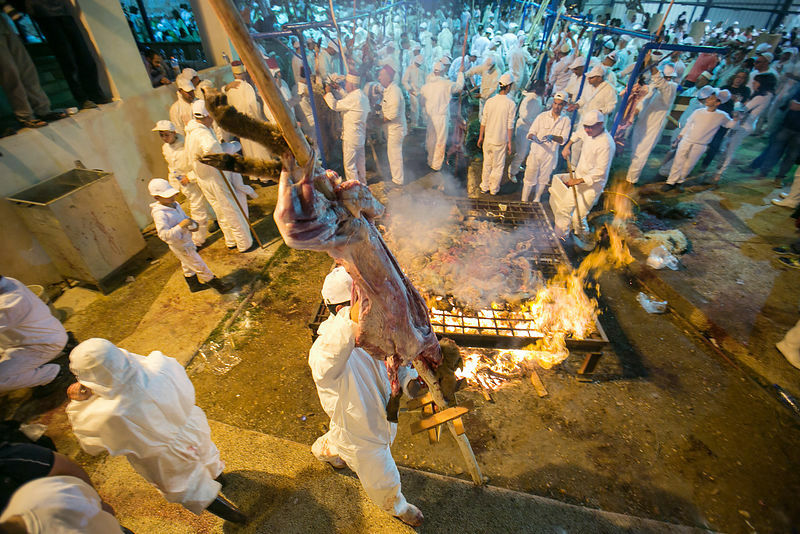 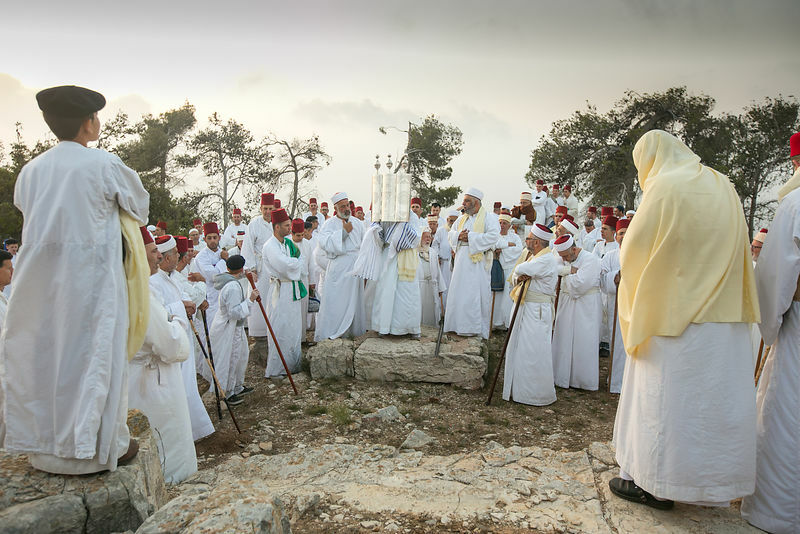 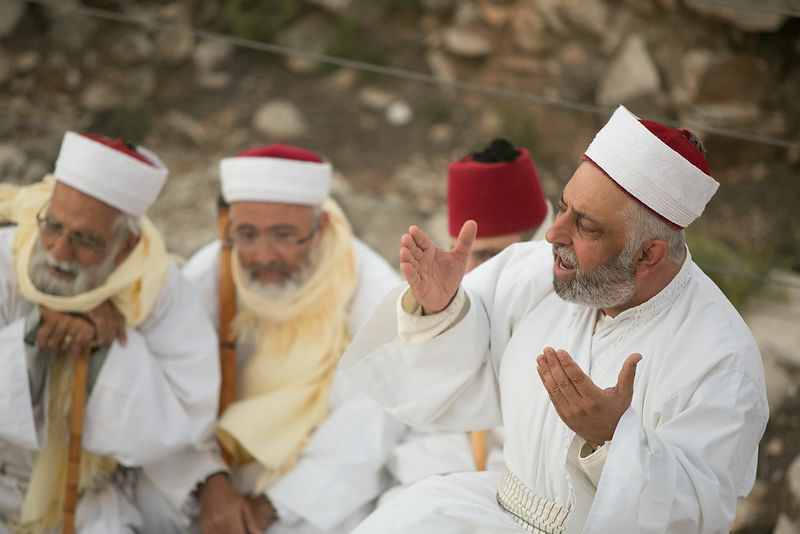 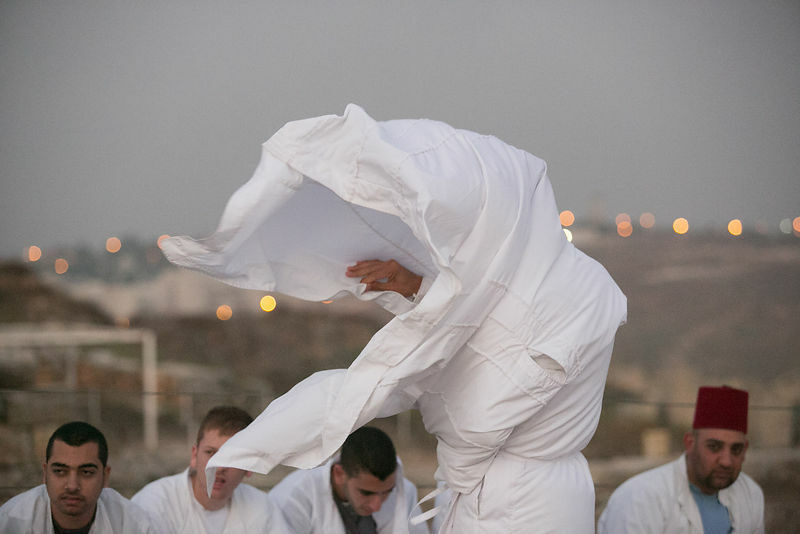 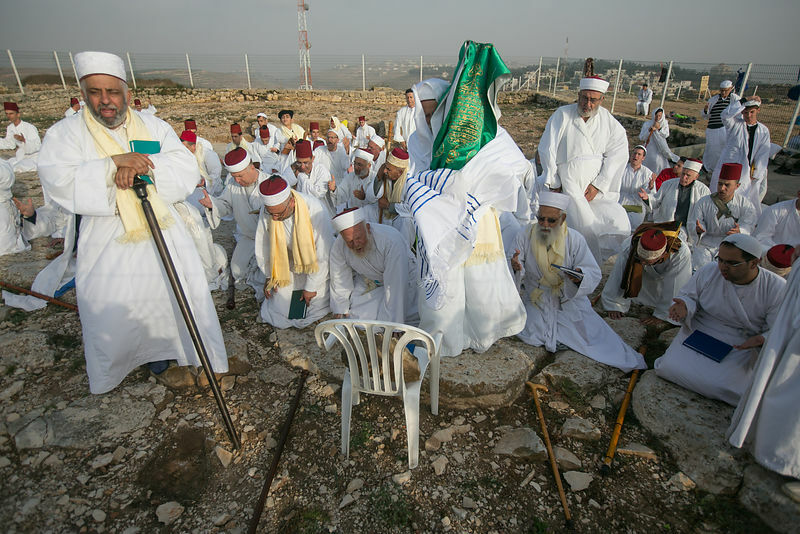 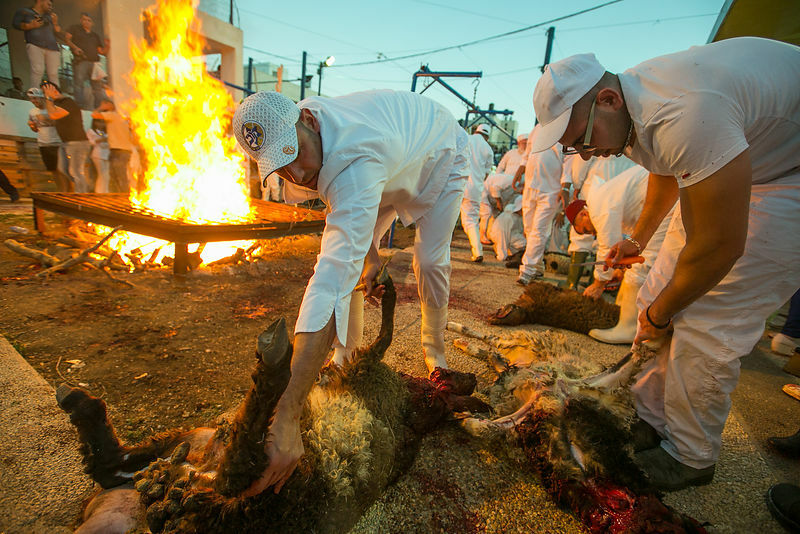 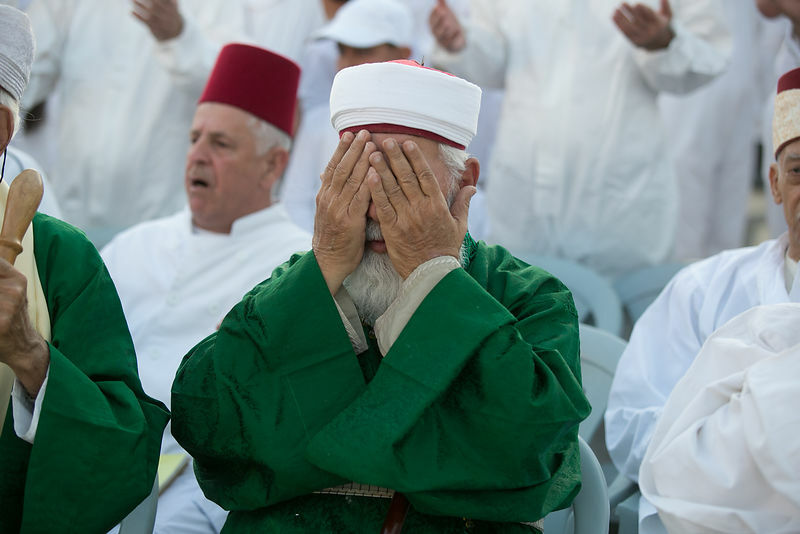 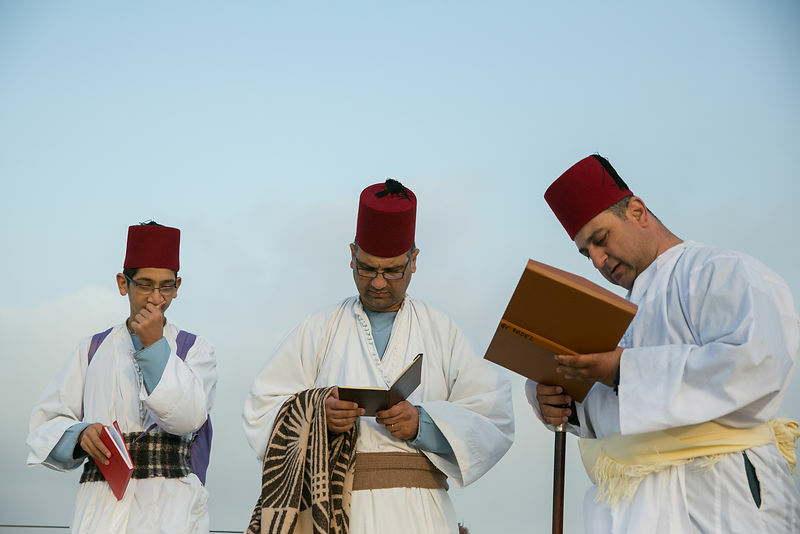 Samaritan as they pray celebrate the Shavuot festival and Passover sacrifice at dawn on Mount Gerizim on the outskirts of the West City of Nablus. 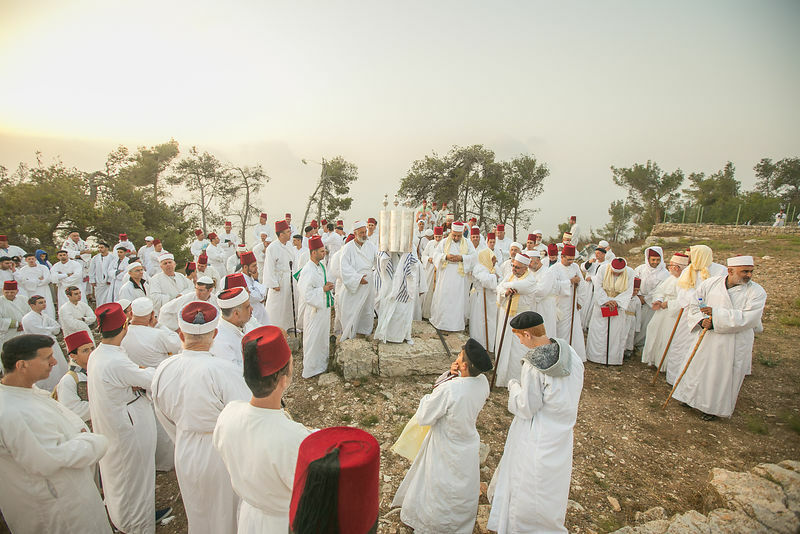 Shavuot marks the giving of the Torah at Mount Sinai seven weeks after the exodus of the Jewish people from Egypt. 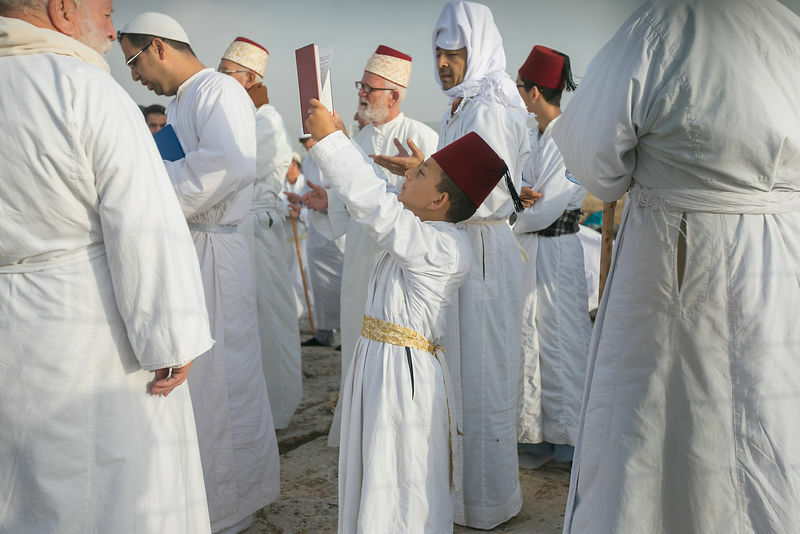 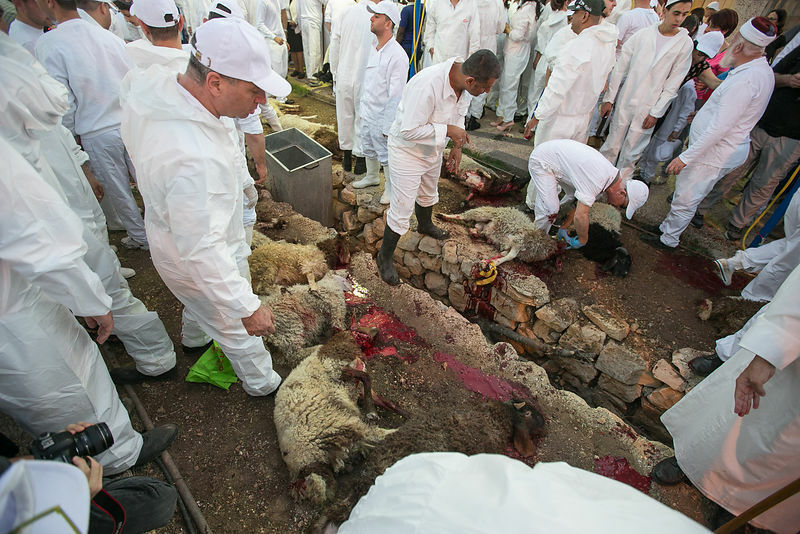 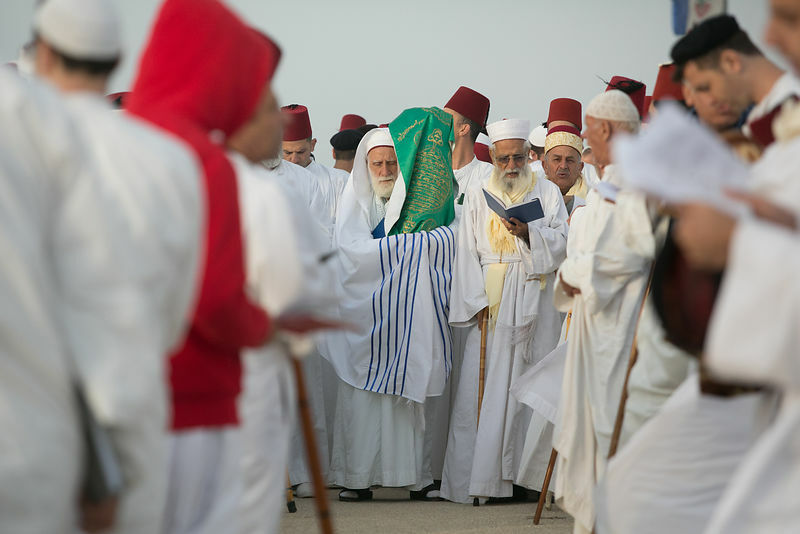 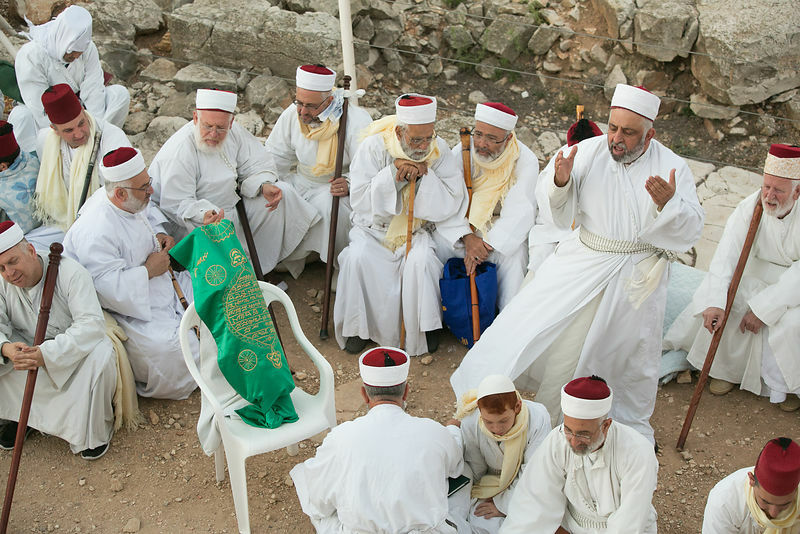 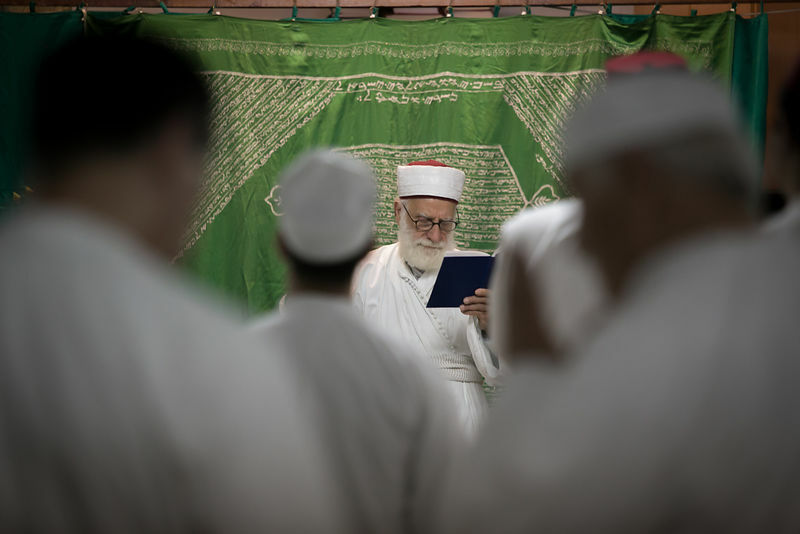 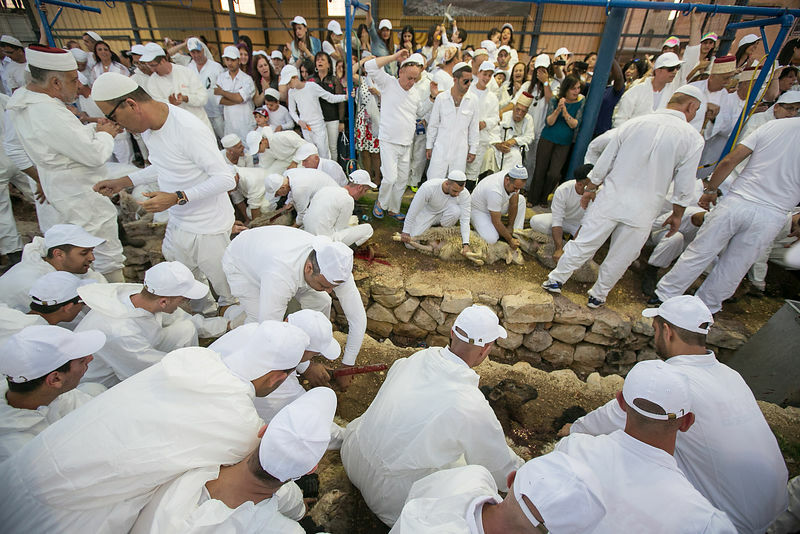 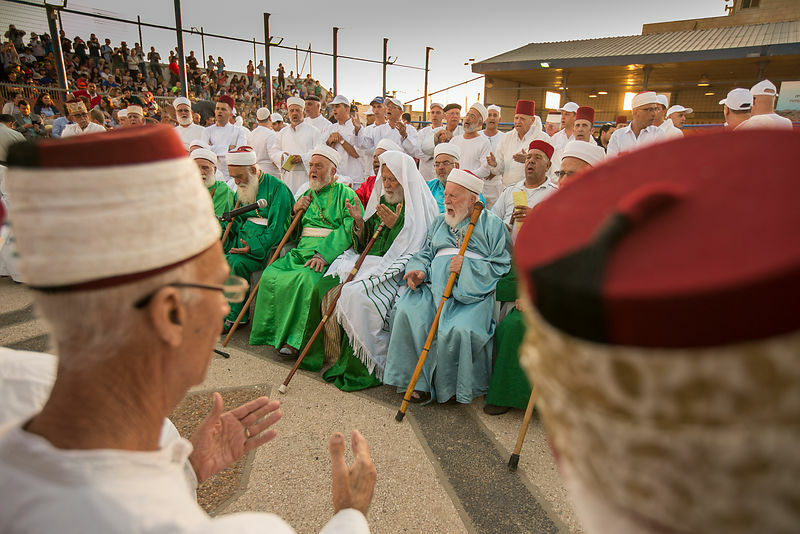 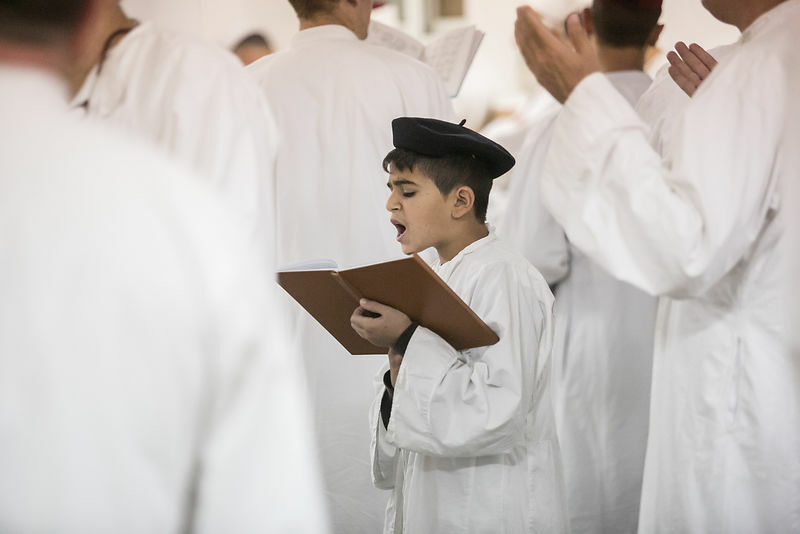 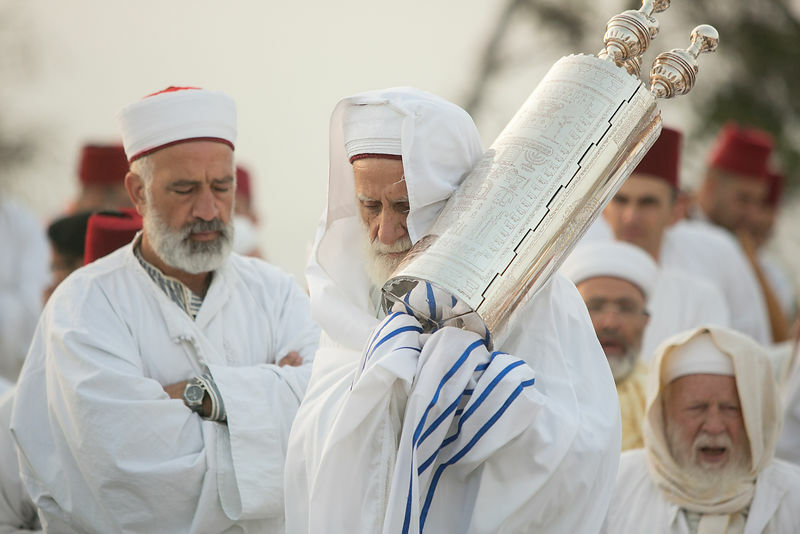 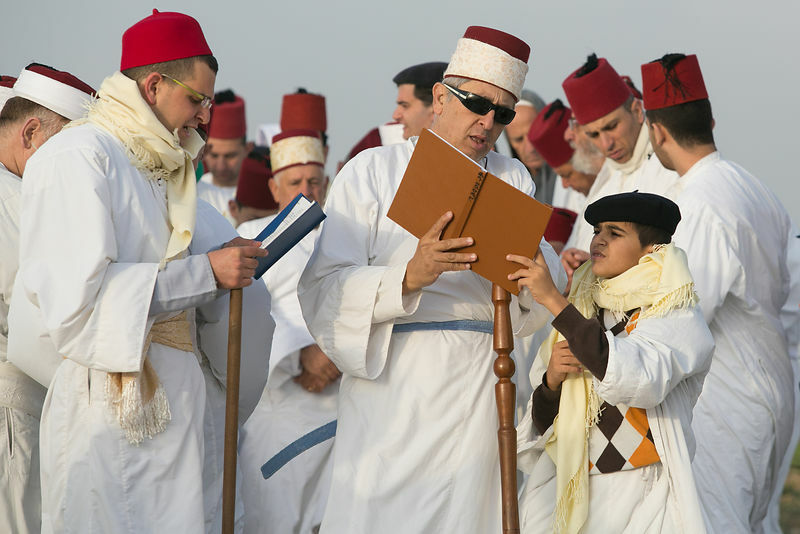 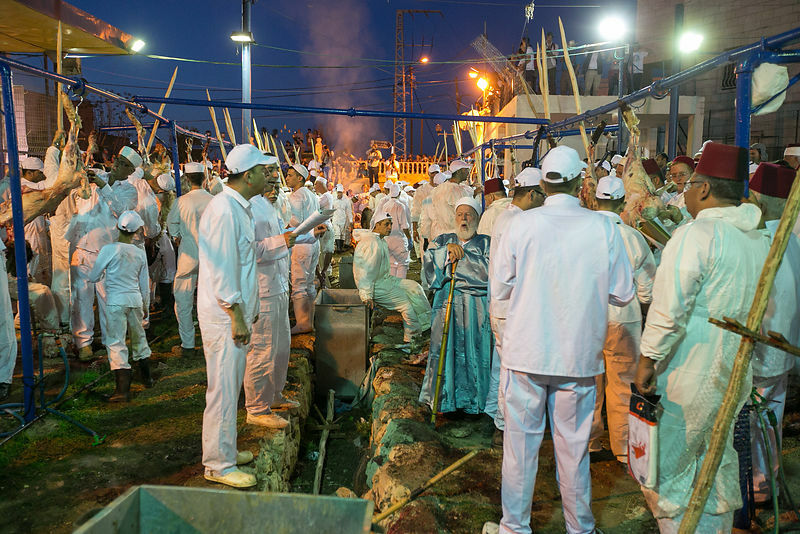 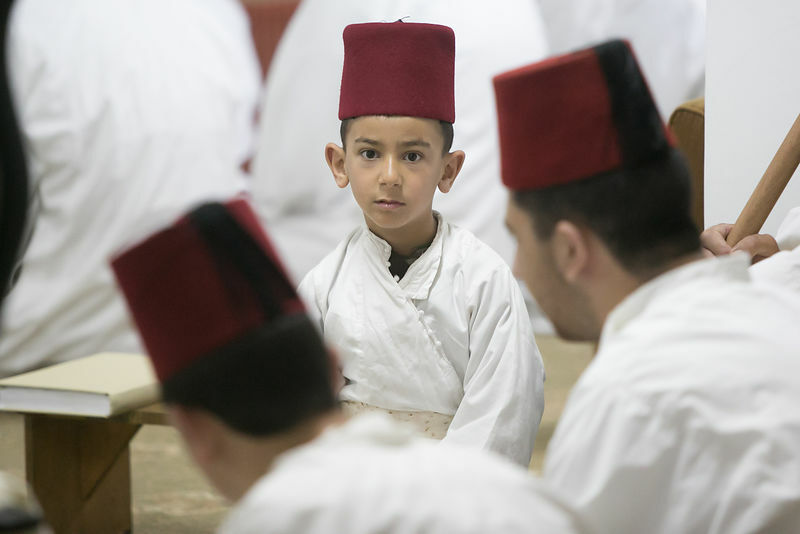 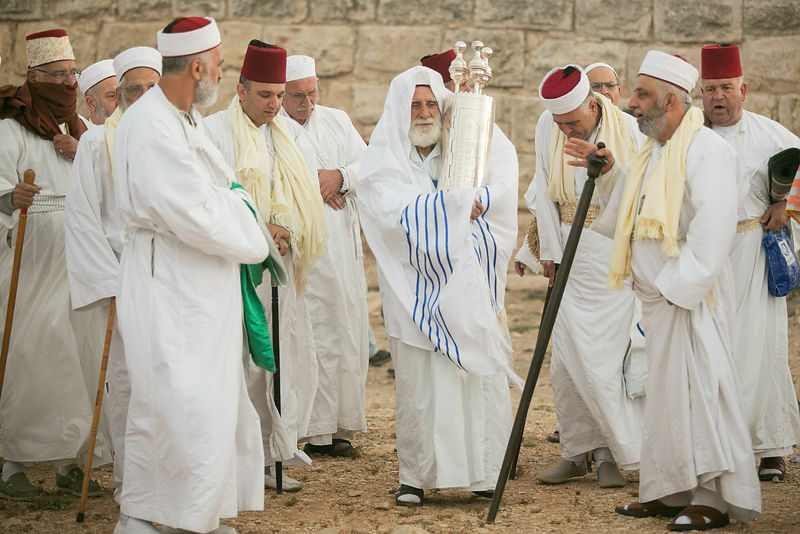 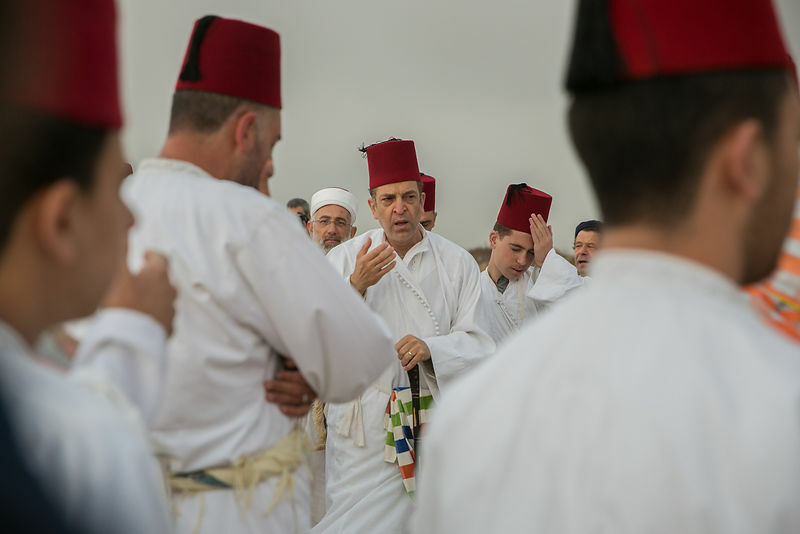 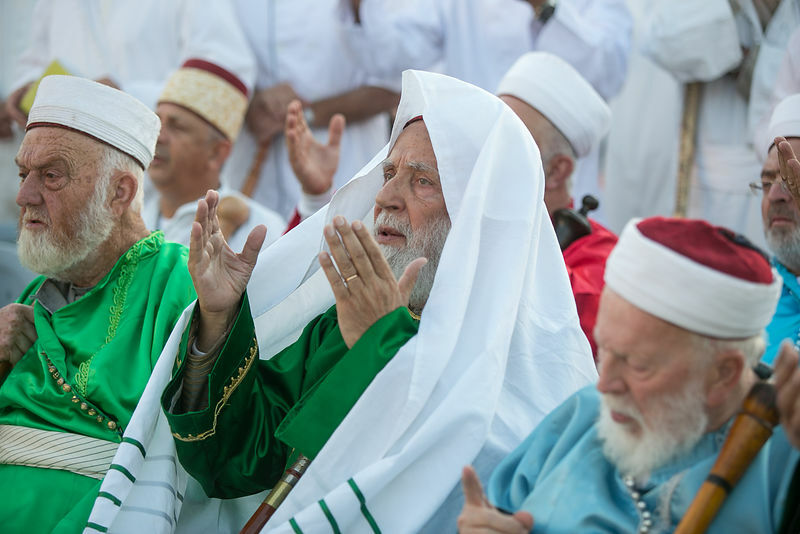 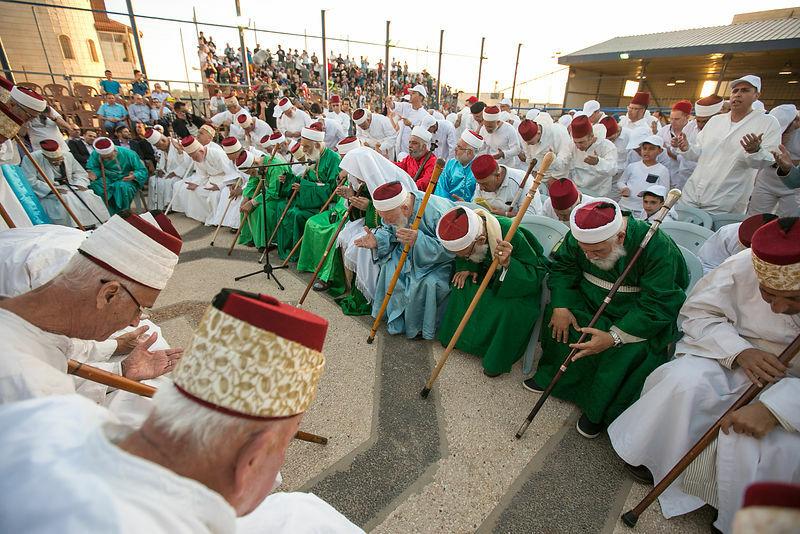 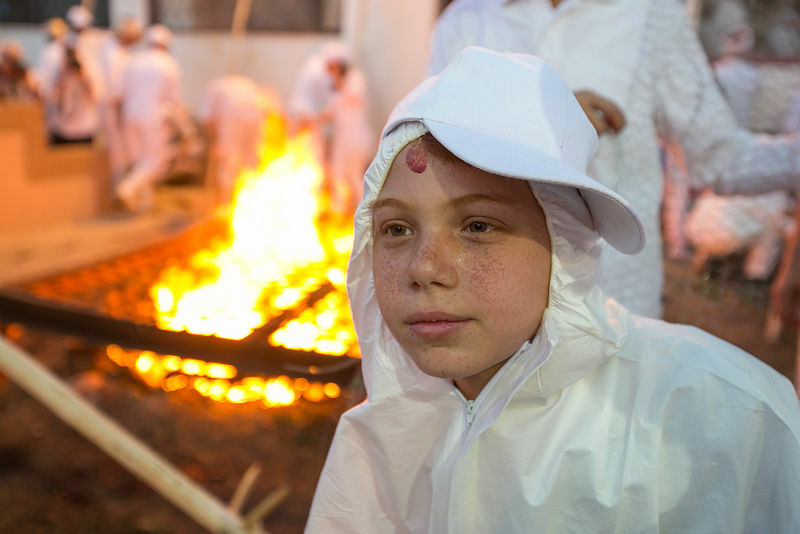 The Samaritan religion is descended from the ancient Israelite tribes of Menashe and Efraim, and the community numbers today around 700 people, half at Mount Grizim in the West Bank and the others in Holon near Tel Aviv in Israel.